EDMI Philippines Inc. joined 56 other exhibitors at this year’s IIEE National Midyear Convention, held in Cebu City, Philippines on May 23 and 24 to showcase products, solutions and ideas to more than 500 electrical trades and consulting professionals. 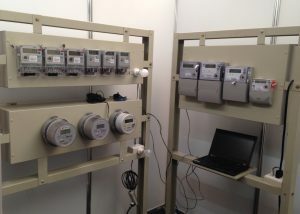 Amongst the exhibits were the smart metering solutions for eye-level cluster metering, connected to an EDMI “MultiDrive” cloud-based head-end system. Delegates were able to see how EDMI could deliver data reports for analysis and billing over the internet through EDMI’s web-based reporting software, “Clariti”. In addition, EDMI showcased the new NC30 ANSI meters. These new meters allow for remote disconnection of electrical loads and meter reading through and RF communications link, operating in the 915-918 Mhz spectrum, approved by the Philippines’ National Telecommunication Commission.